The classic among essay readers. 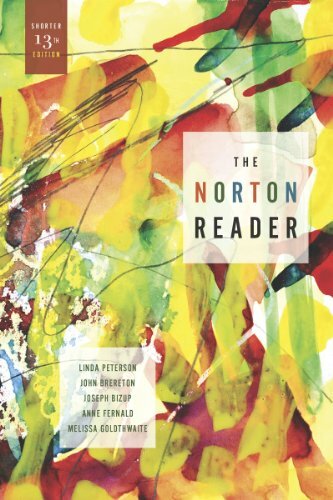 The Norton Reader has introduced millions of writing students to the essay as a genre. First published in 1965, it is still the best-selling thematic reader―and the only thematic reader that also supports a genre-based approach. The Thirteenth Edition introduces a new generation of editors, almost 50 new essays, and a unique new website that allows readers to sort and search for readings by theme, genre, mode, keyword, and more.